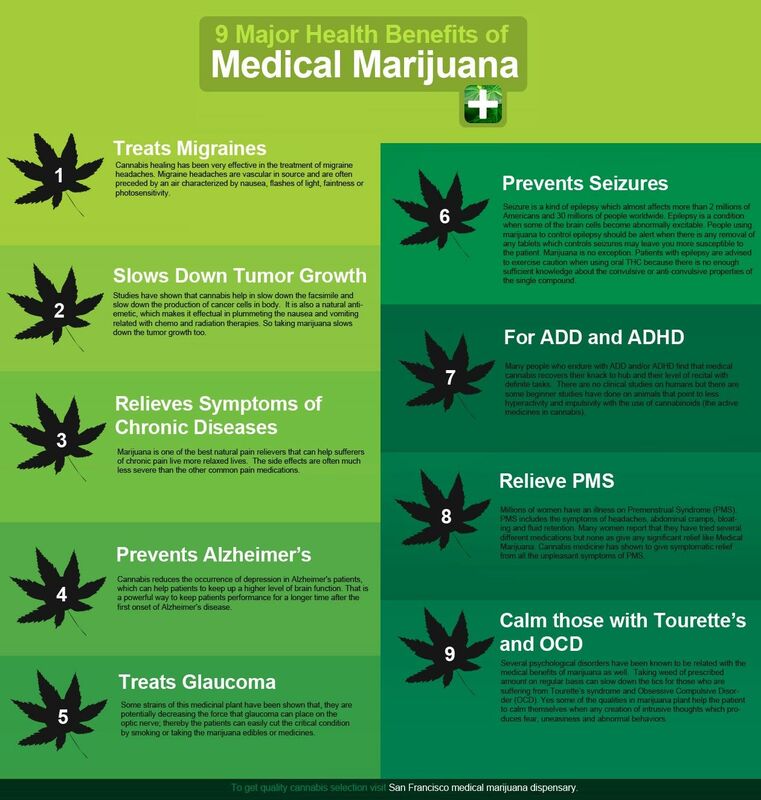 Medical marijuana refers to the whole, unprocessed cannabis plant or the chemicals contained within it, used to alleviate certain health conditions. The plant’s medicinal purposes have gained popularity in recent years, leading to an increase in the number of countries that have legalised its use for medical reasons, or relaxed their rules towards it in general. Cannabidiol (CBD): This non-psychoactive compound in marijuana is responsible for the majority of the medical benefits. Tetrahydrocannabinolis (THC): THC is a psychoactive compound in marijuana and is responsible for the “high” feeling. Medical marijuana products are higher in CBD content, giving relief to patients without the psychoactive effects that create the “high” feeling. THC is the primary cannabinoid found in recreational cannabis products, precisely for its psychoactive effects as recreational users generally seek that “high” feeling. With research into the plant’s benefits, the plant has been discovered to treat a number of ailments. Mostly, its relaxing effects make it suitable for relieving pain and other discomforts such as stress and anxiety. There are other medical benefits as well, along with groups of the plant that work best with particular conditions. Here, we take a look at medical marijuana uses, which conditions it treats, and the types of medical marijuana that are better suited for specific conditions. Cannabis can be effective in the treatment and prevention of glaucoma. Glaucoma is an eye disease that increases pressure in the eyeball, damages the optic nerve and causes loss of vision. According to the National Eye Institute, marijuana when smoking lowers intraocular pressure in people with glaucoma. Many individuals suffering from epilepsy, and those who experience seizures, report that cannabis has helped reduce and control such episodes. Cannabinoids like THC in the cannabis plant bind to the brain cells that control excitability and regulating relaxation and helps control seizures. Research conducted at the California Pacific Medical Center in San Francisco conducted a medical study in 2007 and found that CBD may help prevent cancer from spreading. Cancer cells generate more copies of Id-1, a dangerous gene, than non-cancerous cells and spread them through the body. CBD turns off the Id-1 gene and, as a result, seems to prevent or reduce cancer cell growth. The researchers studied breast cancer cells and found that CBD can be effective in stopping cancer cells from spreading aggressively. Medical marijuana users claim that the drug helps reduce pain and suppresses nausea caused by chemotherapy. A 2010 study released by Harvard Medical School revealed that marijuana might actually help reduce anxiety and improve users’ moods. However, a higher dose may increase anxiety and make users paranoid. Medical marijuana may slow down the progression of Alzheimer’s disease. A 2006 study found that THC blocks the enzyme in the brain and slows the formation of amyloid plaques. These plaques kill brain cells and cause Alzheimer. Medical cannabis can ease the painful symptoms associated with multiple sclerosis. According to a study published in the Canadian Medical Association Journal, THC in cannabis binds to receptors in the muscles and nerves to relieve pain. Other studies revealed that this chemical controls muscle spasms. Medical marijuana is claimed to be effective in other medical conditions, such as hepatitis C, inflammatory bowel disease, arthritis, autoimmune disorders, and many more. Indica for medical cannabis: This type of medical marijuana has higher concentrations of CBD and lower THC. It helps people feel relaxed and calm and offers a sedative-like effect. Sativa medical marijuana: Since pure sativa may cause irregular heartbeat and paranoia, medical cannabis users often stay away from it. This type of medical marijuana is mainly used to treat depression or chronic fatigue syndrome. People often report sativa strains to be effective in uplifting energy, spacing out, helping short term memory issues, etc. Hybrid strains of indica and sativa: This variety of medical marijuana includes indica-sativa hybrid strains. When considering it for medical purpose, look at the CBD and THC amounts. Higher CBD is better for medical purposes. Even with the plant being prohibited in most countries for most of the 20th ad 21st century, researches have found ways to access cannabis to explore its effects. However, given the bans on the drug, such access was limited. So far, though, we know that the use of cannabis to treat certain medical conditions isn’t a new idea. Cannabis has been around for centuries, long before the current medical legalisation spike, and its uses troughout history have been mostly medicinal. However, knowing its specific uses in regards to specific conditions, and what specific group of strains or hybrids work best for specific conditions, requires even more extensive studies. With the current legalisation trend, expect more studies conducted on identifying the true potential of marijuana in the medical industry given its increased availability.